Abstract. In 1959 C.L. Kervran shows experimental evidence of Low Energy Transmutations, but contemporary physicists refuse to believe in the experimental evidence in front of them because it would question the interests, widely well established, of High Energy Physics. In 1989 Fleishmann and Pons made another Low Energy Transmutation, erroneously called "Cold Fusion", which drew great attention. High Energy Physicists started a huge campaign to invalidate "Cold Fusion" in front of the public. In 1996 "The Developing Technology of Transmutations" becomes the fundamental issue of the Second Conference on Low Energy Nuclear Reactions (College Station, TX). In 1998, ICCF-7 (Vancouver) and in 2000, ICCF-8 (Lerici, Italy) show conclusive evidence of Low Energy Transmutation Phenomena. The Alchemic hints result to be always correct, proving that Alchemy is an experimental science. XXI century physics will be characterized by Low Energy Nuclear Reactions: The revival of Alchemy. 1794. French Revolution. May 8. Lavoisier is beheaded. Lavoisier introduced the "Galilean method" in chemistry, contributing to its "scientific foundation". On the basis of his experiments he could observe that "in all chemical reactions the same quantity of matter is present before and after the reaction". Lavoisier consequently makes the hypothesis that in a chemical reaction transmutations from one element to another do not occur (1). 1799. Vauquelin observes what Lavoisier had no occasion to observe: the transmutation from one element to another. The experimental method of Vauquelin is as stringent as Lavoisier's method. But Lavoisier cannot take note of it (2). 1815. Prout noted that the weights of the several atoms appeared to be multiples of the weight of hydrogen, and advanced the hypothesis that all other atoms are composed of hydrogen atoms (3). 1815-1847. The Restoration "excessively" rehabilitates Lavoisier: the "intrasmutability" of the chemical elements becomes a dogma instead of an experimental hypothesis. Alchemy (which, on the other hand, admits transmutations of the chemical elements) is "discredited". However the experimental results of Vauquelin are too stringent to be denied. Therefore they are neglected. The last official trace of his experiments can be found in Regnault's Course De Chimie (1847) then they disappear (4). 1848. Berzelius reports Vogel's experimental evidence for biological transmutations (5). 1860. Marignac supposed the deviations of atomic weights from integral numbers to be a consequence of the fusion process of hydrogen atoms (3). 1863. De Chancourtois arranged the elements in a spiral in the order of their atomic weights, and made the remark: "the properties of substances are the properties of numbers" (3). 1869. Mendeleef built his Periodic Table of the Elements. The properties of the elements are periodic functions of the atomic number (3). 1897. J.J. Thomson discovers that the cathode rays are material particles, charged with "negative" Electricity: the electrons (6). 1898. W. Wien identifies a particle which is "positively" charged, with a mass equal to that of the hydrogen atom, in a beam of ionized gas: the proton (7). 1902-1904. Lord Kelvin formulates the first atom model, which was so strongly supported and developed by J.J. Thomson that it became known as the "Thomson (first) atom". According to this model, the atom consists of a sphere of uniformly distributed charge, about one Angstrom in diameter, in which the electrons are embedded lake raisins in a pudding (8), (9). 1904. Hantaro Nagaoka hypothesizes that the positive charge is concentrated in the center of the atom and that electrons form a ring, around such a nucleus, which is similar to that around Saturn (10). 1905. Albert Einstein formulates the Theory of Relativity. With the gradual "disappearance" of the ether the physical space where to place the atom and rebuild its structure disappears as well. The establishment of the Theory of Relativity compromises the development of a model of the atom consistent with the experimental evidence, and deviates the "natural course" of Atomic Mechanics" (11). 1910. J.J. Thomson definitely confirms the discovery of the proton, made by Wien (12). Negative electrons are attracted by the positive nucleus: yet they appear as "distant" from the nucleus. Why don't they fall on it? Electrons are supposed to be distributed and "moving" around the nucleus. Why don't they radiate electromagnetic energy? Nuclear charge is an integer multiple of Wien's "elementary positive charge". How come doesn't the nucleus "explode" because of electrostatic repulsion? (14). 1) the atom is a "planetary" system; centrifugal force prevents an electron from falling on the nucleus. 2) he simply postulates that electromagnetic laws are not valid for nuclear orbits. He then states that as a consequence of "its small dimensions" the nucleus does not influence "the atom's ordinary physical and chemical properties which, on the other hand, depend on external electrons". 3) As far as the third issue is concerned, he ignores it (15). 1913. J.J. Thomson observes that no one has ever demonstrated that the electrons are spherical and that the Coulomb field - at a micro level - has a spherical symmetry. He builds Thomson's "second atom": a "rigid" atom and consequently a "theory of valence" (16). 1915. Bohr's atom is absolutely incapable of eliminating the fundamental contradictions with the laws of electromagnetism. Above all, it is incapable of accounting for chemical phenomena (17). 1) He does not extend the same hypothesis he made about the electron to the proton. 2) He maintains the "uniformly charged sphere of the Kelvin or Thomson atom" as a model of the nucleus (18). 1915. William D. Harkins reconstructs the Periodic Table of the Elements, and provides two models (a spiral one and a helicoidal one). He moves from the hypothesis that every element's chemical properties essentially depend on the nucleus structure, which is composed of the sum of hydrogen and helium nuclei. He resolves the problem of the nucleus stability by advancing the hypothesis that the hydrogen atom "captures" its electron and, thus, gives raise to a neutral particle: the Neutron. Electrons which have been captured "cement" (bind) the protons (19). 1916. G.N. Lewis works on Thomson's and Parson's ideas and "stops" the atom: "Bohr, with his electron moving in a fixed orbit, (has) invented systems containing electrons of which the motion produces no effects upon external charge. Now this is not only inconsistent with the accepted laws of electromagnetics but, I may add, is logically objectionable, for that state of motion which produces no physical effects whatsoever may better be called a state of rest". Lewis builds the theory of valence (20). 1918. H.S. Allen sees how the "rigid" atom stands. He lists the remarkable amount of experimental data in favour of a rigid structure, and he concludes by observing that: "it will be necessary to revise the prevailing view as to the small size and pure electrostatic field of the nucleus", and that: "Bohr's theory as to origin of series line in spectra may be restated so as to apply it to the ring electron. The essential points of the quantum theory and of Bohr's equations may be maintained, even if his atomic model be rejected" (21). 1919. J.J. Thomson introduces magnetism and builds everything anew: series line in spectra, etc. from the point of view of the rigid atom. But he does not take into account the contributions of Parson, Lewis, Allen and Harkins (Rutherford can be considered as the cause of the "separation" between Harkins, in particular, and the other authors. As a result the different contributions given by the above mentioned scientists, could not merge into a single coherent model) (22). 1919. E. Rutherford believes he has disintegrated nitrogen. As a matter of fact he has fused a helium nucleus with a nitrogen one, expelling thus a proton: Transmutations are possible but - in his opinion - only "High Energy Transmutations". What is worse, he is convinced once and for all of the quality of the "bombardment method". He hopes for the future that growing energetic projectiles be available. It is the prelude to the birth of High Energy Physics (23). 1920. W.D. Harkins publishes the first version "Alpha Extended Model" of the nucleus but his theory has a fundamental flaw : he places the "right" neutron and nucleus in the "wrong" atom of Rutherford and Bohr (24). 1921. J.J. Thomson confirms that Bohr's planetary model - as far as atoms with many electrons are concerned - would become "hopelessly intricate" (25). 1921. A.H. Compton provides experimental evidence in favour of the magnetic electron (26). 1921. W.D. Harkins further develops the "Alpha Extended Model" of the nucleus. He introduces in current terminology the neutron as "sum" of a proton and an electron. Moreover he introduces in his model of the nucleus three "polyneutrons": D0 (2n), T0 (3n), a 0 (4n) (27). 1921. A.C. Crehore points out that the rigid atom is by now currently used in chemistry, where it daily proves itself useful. He suggests that the entire field of chemistry is not a silly thing to be lightheartedly neglected in order to support Bohr's atom. He observes that those "useful" results from Bohr's theory can be obtained from other atomic models - i.e. rigid atom. And he adds that despite what Bohr did it is not essential to assume things against ordinary laws of electromagnetism. The rigid atom is based on the laws of electromagnetism: "So long as there is strict adherence to the Bohr model, an understanding of phenomena on the basis of electromagnetic theory will remain difficult, if not impossible…the abandonment of ring of electrons from an atomic model does not seem to be so revolutionary when viewed in the light of these facts" (28). 1921. Albert Einstein receives the Nobel Prize for Physics. He is given the Prize for the "discovery of the laws of photoelectric effect". But it inevitably assumes the "political value" of an "endorsement" of the Theory of Relativity. 1922. Niels Bohr receives the Nobel Prize for Physics. He is given the Prize for his studies on "the atoms structure and radiation". RELATIVITY AND PLANETARY ATOM BECOME "OFFICIAL SCIENCE"
On a theoretical level, physicists impose the planetary atom on chemists. Chemists "suffer" but, as a matter of fact, do not give a damn. The theory of valence is, and continues to be, that by Lewis and Thomson. 1925. Bohr's atom has some problems with the anomalous Zeeman effect. Uhlenbeck and Goudsmit "discover" the magnetic electron. Before introducing such a "revolutionary concept" they ask for advice to the least apt person: Niels Bohr. Bohr takes the opportunity of staging a clever "coup de main", that of introducing the main argument adopted by Parson and Allen against planetary atom: the magnetic electron. With a warm letter encouraging the "birth" of Spin, Bohr gives them his approval (29). 1926. E. Schroedinger presents his: "An Undulatory Theory of the Mechanics of Atoms and Molecules": "The point of view taken here…is rather that material points consist of, or are nothing but, wave systems" (30). Schroedinger does not ask himself what his "wave systems" are made of. By paraphrasing Einstein, one could say that "the ether took its revenge and ate matter" (31). 1928. W.D. Harkins attempts to produce gold by introducing an electron into a mercury nucleus, but fails (32). 1932. J. Chadwick "discovers" the neutron (33). 1932. W.D. Harkins timidly lays claim to the neutron (34). Heisenberg states that "Harkins's neutron" (the sum of a proton and an electron) is "different" from " Chadwick's neutron", that is, a "new" particle which "does not contain" electrons, but "creates" them at the moment of its decay (35). As a matter of fact, as we have seen before, Harkins placed the right neutron and nucleus in the wrong atom: "his" neutron cannot be accepted because it is "incompatible with Bohr's atom and Heisenberg's Quantum Mechanics. 1935. Thus, it is J. Chadwick who receives the Nobel Prize for Physics "for the discovery of the neutron". 1937. While looking for "an artificial generator of neutrons", Enrico Fermi accomplishes a "cold fusion" between "heavy ice" and deuterium (heavy hydrogen). But he does not give it enough attention, as he should (36). 1940. Seemingly unaware of Harkins's work, Don Carlo Borghi makes the assumption again that the neutron is a peculiar "bound state" of the hydrogen atom. His hypothesis is obviously refused because it "contradicts Bohr's atom and Heisenberg's Quantum Mechanics". Borghi does not realize the "danger" of his hypothesis. He insists and is estranged (37). 1950-1955. C. Borghi planned an experiment to synthesize neutrons starting from a cold hydrogen plasma. Expelled from the University of Milan, he moves to the Vatican. With the money he is given -under the counter- by De Gasperi, he starts his experiments in a Roman laboratory. Borghi succeeds where Harkins failed: "cold" synthesis of the neutron shows that the neutron really is "the sum of a proton and an electron". De Gasperi's death marks the end of Borghi's financial support. He emigrates to Brazil in order to continue his experiments. In Recife he founds the Center for Nuclear Energy (38). 1958. C. Borghi tries to present his experimental results at the Vienna convention. But Amaldi's action prevents him from having his paper accepted. Estranged once again, Borghi leaves the scene for good (39). If on the one hand, these transmutations can be regarded as "cold fusions", on the other, they can be considered as examples of "cold fissions". "The most important thing" - Kervran maintains - "is to note that the nucleus has divided into two parts, like a walnut that breaks along the median plane. Therefore, in Lead 206 there must be a plane characterized by a lower resistance, for fission takes place along this plane …it appears obvious then that the notion of mean energy per nucleon does not make any sense since it has been ascertained that nuclei are made of thick parts that always divide in the area of lower resistance (40), (41). Spontaneous fission of lead. On the left the nucleus of Lead -206 divides into two equal parts. This can only be explained with a median fissure. On the right the shell structure seems impossible because it would be necessary a heart made of 41 protons, which should open like a shell and then assemble into a nucleus" (40), (41). THE ALPHA -EXTENDED MODEL OF THE ATOM. The Alpha particle model was suggested by stereochemistry … it can be applied to light nuclei which have an equal number of neutrons and protons, as long as that number is a multiple of 4. Obviously one can think that these nuclei are made of nuclei of 4He (42). These Alpha particles are arranged in space so as to give the closest possible packing … In table 1 we have tabulated the configuration that probably gives closest packing and the corresponding number of bonds … the last column gives the binding energy per bond, which is remarkably constant except in the case of 8Be (43). "The most disturbing feature of this table is the lack of alpha stability of 8Be (44); as well as, obviously, the fact that "the alpha particle model can only be applied to light nuclei" (43) up to . 11a ( ) and the following "do not exist". The most valuable feature of the alpha particle model is, on the other hand, the fact that it is a static model of the nucleus, as it is more suitable to a "rigid" atom. Let us see, now, how it can be conveniently extended (45). Substantial asymmetry of Coulomb electric and magnetic fields of electrons and protons. Existence of positions of stable electromagnetic equilibrium of electrons in the vicinity of nuclei. The Neutron is a particular "bound state" of a proton and an electron. The Nuclei are composite structures of hydrogen atoms of period 4. 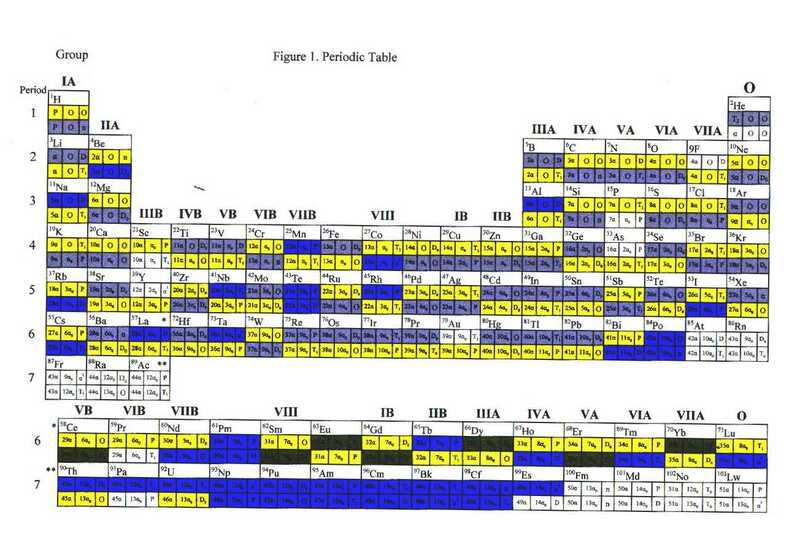 Physical and chemical properties of each atom depend on the various isomeric configurations. As we have just seen, the Alpha particle model of the nucleus is interrupted … because of lack of Alpha particles. After (10 a ), in fact, "there is not" (11a ). But let us examine now the two isobars 44 : and . Let us observe, now, the three isobars 48: (12a ), unstable ( t1/ 2 = 21.56h). After two electron captures changes into . (10a +2× 4n). Stable (0.187%). Let us imagine now that in agreement with the above hypotheses on atomic and nuclear structure, the electrons of an Alpha group (Helium atom) are bound in a position of stable equilibrium in the vicinity of the corresponding protons. Let us assume, then, that because of the tridimensional packing of the Alpha groups, one of them is completely inside the nucleus and that, because of the various forces exercised by the surrounding Alpha groups, the two hydrogen atoms (Protium) which make it up, each captures its own electron. The result is a new "group", which is even more "neutral" than the (Helium 4) atom (the Alpha), made up by 4 neutrons which are more strongly bounded - inside the nucleus - of the two Protium atoms and two neutrons which make up the "Alpha group". I will call the new "even more neutral" group: Alpha-Zero Group (a 0). Consequently can be read as: (11a + a 0). Stable. Similarly, we can suppose that two Alpha Groups "capture" their corresponding electrons. therefore can be read as: (10 a + 2a 0). Stable. D-zero: D0 = (2n) ; Tritium: T1 = (D + n) ; Helium 3: T2 = (D + P) ; T-zero: T0 = (3n) ; Alpha: a = (D + D) ; Alpha-zero : a 0 = (4n). We have consequently introduced 3 groups of "polyneutrons": D0 ,T0 ,a 0 . Moreover it results that atoms and nuclei are composite structures of Protium, of period 4. Finally it follows that the different physical and chemical properties of each atom depend on the various, possible isomeric configurations of the Protium atoms which make it up. PERIODIC TABLE OF THE ELEMENTS ACCORDING TO THE ALPHA EXTENDED MODEL OF THE ATOM. The reconstruction of the Periodic Table of the Elements according to the Alpha Extended Model of the Atom is shown in Fig.1 (Fig.2a, 2b; Fig.3a, 3b; Fig. 4a, 4b; give the details of this Table up to the element 26, Fe - in the printed version of Episteme these seven tables are given apart). The horizontal view of Fig.1 shows clearly that the nuclei are periodic structures of period 4. The vertical view (Mendeleef order, in which only the two most abundant isotopes are listed) suggests immediately the "composite structure" of the nuclei. Example: n × 4a Reactions. As it can easily be seen, the difference between the very active Elements of Group IA and the "inert" Noble Gases consists in a "T1 terminal". Neutron synthesis and a 0 group. Neutron synthesis - which is the first step in atom building - was achieved by Borghi, starting from a cold plasma of protons and electrons (39). The following steps: synthesis of Deuterium (D), Tritium (T1), He 3 (T2), He 4 (a ) and experimental evidence for the 4- neutron (a 0) group were already well documented in the scientific literature . As well as the production and the decay of the nuclei from 11a to 18 a and the "New Radioactivity" (reversible transition) (45). Nucleus + n × 3a ; Nucleus + n × 4a . C + O ® Si ; 2 (C + O) ® Fe ; Na + O ® K .
The first could be very easily reproduced. Consequently I tested it following methods 2 and 3 (45). The report handed to me claimed the production, with the same methods, of 35 different Elements. I noticed that all the stable isotopes of Si and Fe could be considered "composite structures of C and O (45). a) Experiments at B. A. R. C.
In 1991 I gave a lecture at B. A. R. C. , on Low Energy Nuclear Reactions. One year later M. Srinivasan gave me a preprint showing experimental evidence for the reactions: C + N ® Al ; C + O ® Si ; 2(C + N) ® Cr ; 2(C + O) ® Fe ; 2(C + O) ® Ni (46). b) Experiments at Texas A&M. Immediately after this positive result Sundaresan and Bockris repeated test 2 (45) showing once more experimental evidence for the reaction: 2 (C + O) ® Fe (47). Experiments by Champion and co-workers. Carbon - Iron - Carbon arc. New Elements produced : Zr , Mo , Ru , Ba , Sm , Yb , Hf , Os . Carbon - Nickel - Carbon arc. New Elements produced : Mo , Ru , Pd , Ce , Ba , Nd , Sm , Hf , W , Os , Pt . Carbon - Copper - Carbon arc. New Elements produced : Rh , Pd , Ag , Nd , Eu , W , Re , Ir , Pt , Au . Low Energy Nuclear Fission of Stable Isotopes. a) Experiments at Texas A&M and Engelhard Laboratories. In 1992 I was invited by J. O'M. Bockris to witness experimental tests suggested by J. Champion . The first of these tests told me immediately what was going on: I had already seen it in a drawing made 500 years before. That is: the possibility to cause an a decay of stable isotopes by means of "ordinary" chemical reactions (49). The two remaining isotopes of Hg : 199 and 201, by the induction of an a decay, produce Pt and Au. Low Energy Nuclear Reactions (Transmutation) of unstable isotopes. The possibility to cause nuclear fission of stable isotopes by "ordinary" chemical reactions suggests immediately the possibility to cause the fission of unstable isotopes, which Kervran did not consider (40), (41). A series of experimental tests made in '93, '94, '95, '96, '97, '98, proved the possibility to get rid of the nuclear waste (Thorium, Uranium) (50). The EUCAN Thechnologies GmbH signed a contract with the "Laboratorio Nazionale per la caratterizzazione dei rifiuti radioattivi" of ENEA, Saluggia in order to carry out same experiments an for the product characterisation. The activities started in October 1996. The results of the first series (1996-97) and of the second series (1997-98) of experiments have been reported in the Proceedings of ICCF-7 (51). Thorium was reduced by about 2g (an 88% reduction) (51). It was possible to show the reality of seasonal effects in Low Energy Nuclear Reactions (51). To make a further demonstration of the reality of these experimental results a third series of tests was carried out on May 21 an May 25 1998 (52). The first experiment (May 21) showed the transmutation of 1.32g (30% of the total) of Uranium (52). The uncertainty declared by the laboratory was between 5 and 10% (52). To avoid any possibility of error we decided to show the possibility to increase this result through a slight change in the proprietary formula used, suggested by the Alpha-extended model of the atom (53). Consequently a second test was carried out on May 25,1998 with the only addition of 50g of SiO2 (powder) in the same composition used for the test of May 21 (52). The result was the transmutation of 2.07g of Uranium (45% of the total) (52). An increase of 15% (+50% compared to the test of May 21). Reactions: Hg - Na . simply making an amalgam of Mercury and Sodium. I repeated the same test after a few months in a condition of "sodium excess". The result was the production of the following Elements : Si, K, Ca, Fe, Ti, Cr, Cu. The Periodic Table suggests immediately further tests of this kind (reactions: Hg - Li , Hg - K , Hg - Rb , Hg - Cs), which can be easily performed. The reaction: Hg - Sb seems to be dangerous (production of "Red Mercury"). "Cold fusion" in metal lattices. Pd does not only act as a catalyst of the D + D reactions . As a consequence of the nuclear reactions among Pd and LiOD the Palladium was "burning" like a match forming, at least within a thin layer, a plethora of new nuclei. I suggested to analyze the atomic and isotopic composition of the electrodes before and after the reactions. In 1996 Mizuno et al. made this test, with the following results: within a thin layer of 1micron they found: Cr , Fe , Cu , Pt , Ca , Ti , Mn , Co , Zn , Cd , Sn , Pb, Ga , As , Br , Sb , Te , I , Xe , Hf , Re and Ir (57). A similar test was made by Bockris and Minevskii, with the following results: within a layer of one micron they found : Mg (6.7%), Si (10.2%), Cl (3.0%), K (1.1%), Ca (19.9%), Ti (1.6%), Fe (10.5%), Cu (1.9%), Zn (4.2%), Pd (31.9%), Ag (1.9%), Pt (7.1%) (57). The starting concentration of Palladium was: 99.8%. The various different reactions can be singled out using the Periodic Table and finding the exact isotopic composition of each new Element. Isomeric configurations of the atoms. The Alpha-extended model allows each atom to "keep in storage" within its "rigid" tridimensional structure the information which determines its physical and chemical behavior. In 1991 I suggested that the two allotropic forms of the Carbon atom (diamond and graphite) were a good example of this kind and that this example should be: "only the first of a long series. This opinion has recently been confirmed by the experimental results of S.K. Dixit . In the Rasasastra Department (Department of Alchemy) of the Banaras Indu University it is normal practice to obtain different isomeric configurations of atoms and molecules, characterized by different physical and chemical properties, from the most common configurations . The same atom or molecule is given a specific name according to the various isomeric configurations which prove useful in the medical field" (45). A few months later (October 1991) I could get information about the discovery of a third isomeric configuration of the Carbon atom: Fullerenes, obtained by arcing Carbon in a Helium atmosphere (58). Finally, in 1995, I was informed by D. Hudson about the discovery of new, peculiar, isomeric configurations of monoatomic Transition Elements, which he called O.R.M.E.S. (Orbitally Rearranged Monoatomic ElementS) (59). These isomeric configurations are well known in Alchemic Literature (60). But, according to the Alpha Extended Model of the Atom (no "orbits"), the "right" name for these isomeric configurations should be : E.R.M.E.S. (Electronically Rearranged Monoatomic ElementS). The experimental evidence listed above constitutes, in my opinion, a good validation for the Alpha Extended Model of the Atom. In 1996 "The Developing Technology of Transmutations" becomes the fundamental issue of the Second Conference on Low Energy Nuclear Reactions (College Station, TX) (61). In 1998, ICCF-7 (Vancouver) (51) and in 2000, ICCF-8 (Lerici, Italy) (62) showed conclusive evidence of Low Energy Transmutation Phenomena. The Alchemic hints result to be always correct, proving that Alchemy is an experimental science (50). XXI century Physics will be characterized by Low Energy Nuclear Reactions: The revival of Alchemy. A.L. Lavoisier . Traitè Elementaire de Chimie. 1789. L.N. Vauquelin. Annale de Chimie. Vol. 29-30, Nivose, Year VII, pp. 3-26, January, 19, 1799. G.N. Lewis. Valence (1923). Dover edition, N.Y. 1966. H.V. Regnault. Course de Chimie. 1847. J.J. Berzelius. Traite de Chimie. 2° Edition, 1848. J.J. Thomson. Phil. Mag. S5, Vol.44, N° 269, October 1897, p. 293. Encyclopedia Britannica. Micropaedia. Vol. VIII, p. 254. Kelvin. Phil. Mag. S6. Vol.3, N°15, March 1902, p. 257. J.J. Thomson. Phil. Mag. S6. Vol.7, N° 39, March 1904, p. 237. H. Nagaoka. Phil. Mag. S6. Vol. 7, N° 39, March 1904, p. 445. R.A. Monti. Theory of Relativity: a critical analysis. Phys. Essays. 9, 2, 1996, p. 238. J.J. Thomson. Phil. Mag. S6. Vol. 19, N° 111, March 1910, p. 424; Vol. 20, N° 118, October 1910, p. 752. R.A. Monti. The radius of the atomic nucleus. Il Lunedì della Repubblica. N°16, "L'Ermete", p.IV, 1-14 April 1991. E. Rutherford. Phil. Mag. S6. Vol. 21, N° 125, May 1911, p. 669. N. Bohr. Phil. Mag. S6. Vol. 26, N° 151, July 1913, p. 1. J.J. Thomson. Phil. Mag. S6. Vol. 26, N° 154, October 1913, p. 792. N. Bohr. Phil. Mag. S6. Vol. 30, N° 177, September 1915, p. 394. A.L. Parson. Smithsonian Miscellaneous Collection. Vol. 65, N° 11, Publication N° 2371, Washington, November 29, 1915, pp. 1-80. W.D. Harkins. J. Am. Chem. Soc.. Vol. 38, February 1916, N° 2, p. 189. J.N. Lewis. J. Am. Chem. Soc.. Vol. 38, 1916, p. 762. H.S. Allen. Proc. Phys. Soc. London. Vol. 31, 1919, p. 49. J.J. Thomson. Phil. Mag. S6. Vol. 37, N° 220, April 1919, p. 419. E. Rutherford. Phil. Mag. S6. Vol. 37, N° 222, June 1919, p. 581. W.D. Harkins. J. Am. Chem. Soc.. Vol. 42, 1920, p. 1956. J.J. Thomson. Phil. Mag. S6. Vol. 4, N° 243, March 1921, p. 510. A.H. Compton. J. Frankl. Inst.. Vol. 192, August 1921, p. 145. W.D. Harkins. Phil. Mag. S6. Vol. 42, N° 249, Sept.1921, p. 305. A.C. Crehore. Phil. Mag. S6. Vol. 42, N° 250, October 1921, p. 569. S. Goudsmit, G.E. Uhlenbeck. Zeits. f. Physik. 35, 8-9,pp. 618-625, 1926; N. Bohr. Nature, Vol. 117, N° 2938, p. 264, February 20, 1926. E. Schroedinger. Phys. Rev.. Vol. 28, N° 6, December 1926, p. 1049. L. Kostro. Einstein e l'etere. Proceedings of the International Conference "Galileo Back in Italy" I. Ed. Andromeda, Bologna 1988. W.D. Harkins. W. B. Kay. Phys. Rev.. 31, June 1928, pp. 940-945. J. Chadwick. Nature. 129, Feb.27, 1932, p. 312. W. D. Harkins. Nature. January 7, Nov. 8 1932, p. 23. W. Heisenberg. Zeit.f. Physik.17, 1-2, July 19, 1932, pp. 1-11. E. Amaldi, E. Fermi, F. Rasetti. La ricerca scientifica. Serie II, Anno VIII, N° 1-2, 15-31 Luglio 1937. C. Borghi. Il Nuovo Cimento. Serie Nona, Vol. I, N° 3, 1 Giugno 1943, p. 176, 1940; C. Borghi. Sui Principi della Fisica Nucleare. Pontificia Accademia Scientiarium, Commentationes. Anno X, Vol. X, N° 5, 1945, p. 145. C. Giori. Private communication to R.A. Monti. C. Borghi, C. Giori, A. Dall'Olio. CEN. Recife, Brazil. Experimental evidence on the emission of neutrons from cold hydrogen plasma. Unpublished, 1957. C.L. Kervran. Preuves en biologie de transmutations a faible energie. Librairie Maloine S.A., Paris 1975. C.L. Kervran. Prove in Geologia e Fisica delle Trasmutazioni a Debole Energia. Giannone, Palermo 1983. E. Segre. Nuclei e Particelle. Zanichelli, Bologna 1986. L.R.B. Elton. Introductory Nuclear Theory. Pitman, London 1959. J.M. Blatt, W. S. Weisskopf. Theoretical Nuclear Physics. Wiley, N.Y.1960. R.A. Monti. Cold Fusion and Cold Fission: Experimental Evidence for the Alpha-Extended Model of the Atom. Communication to the Second ICCF, Como, Italy 1991. M. Sing, M.D. Saksena, W.S. Dixit, V.B. Kartha (BARC). 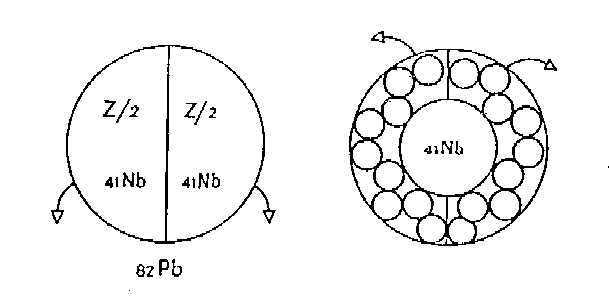 Verification of the George Oshawa's experiment for anomalous production of Iron from Carbon Arc in water. Fusion Technology. Vol. 26, 1994, p. 261. R. Sundaresan, J.O'M. Bockris. Anomalous formation of Iron from Carbon as a result of arcing in water. Fusion Technology. Vol. 26, 1994, p. 261. J.E. Champion. Explanation of observed nuclear events associated with cold fusion and similar Low Energy Nuclear Reactions. June 1994 (private edition). R.A. Monti. Experiments in Cold Fusion and Cold Fission. Communication to ICCF-4, Maui 1993. R.A.. Monti. Communication to ICCF-8 . Lerici, Italy May 2000. ICCF-7 Proceedings. April 19-24 1998, pp. 264-268. Laboratorio Nazionale per la Caratterizzazione dei rifiuti radioattivi. L.E.T. Project. 8° Report. July 1998, by the Head of the Section F.Troiani. R.A. Monti. Low Energy Nuclear Reactions: Experimental Evidence for the Alpha Extended Model of the Atom. Journal of New Energy. Vol. 1., N° 3, 1996, pp. 131-144. J.E. Champion. Nuclear change via chemical reactions. Modern day nuclear change. Extraordinary Science Conference. 1995 (video tapes). International Tesla Society. Colorado Springs, CO.
M. Fleischmann, S. Pons. J. Electroanal. Chem. Vol. 261, 1989, p. 301. R.A. Monti. Reconstruction of the Periodic Table of the Elements. Seagreen N° 8, Andromeda, Bologna, Spring 1989. H. Fox. Implications of the Bockris-Minevskii and Mizuno et al. Papers. Fusion Facts. April 1996. R.F. Curl, R.E. Smalley. Fullerenes. Scientific American. October 1991, p. 32. D. Hudson. Non-metallic, monoatomic forms of Transition Elements. Keely Net, PO Box 870716, Mesquite (TX), USA 75187. Ireneo Filalete. Open Entrance to the Closed Palace of the King Phoenix (1645). Genova, Italy 1987. Journal of New Energy. Vol. 1, N° 3, 1996. Editorial, by H. Fox. ICCF-8. Lerici, Italy. Proceedings (to be published). This paper has been published for the first time in the Proceedings of the VI International Scientific Conference "Modern Problems of Natural Sciences", August 21-25, 2000, St-Petersburg. Episteme thanks most heartily Svetlana Tolchel'nikova-Murri and Markiyan Chubey for their kind co-operation.